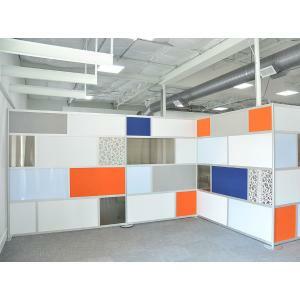 The 6 Wall short is a modern, clever, and eye appealing room screen that can be configured and colored in many options. See layouts and color selections below. 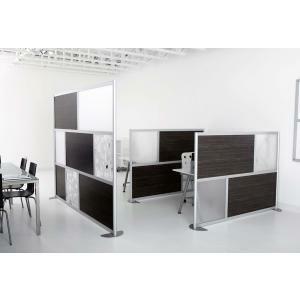 The 6 Wall short Room Divider is a clean modern space divider. 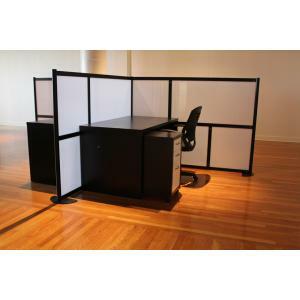 It's modular, durable, and lightweight frame and panel system looks brilliant. 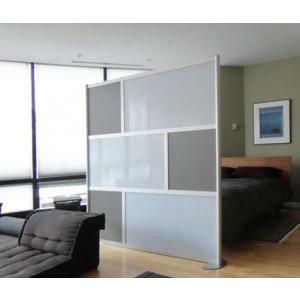 It is the perfect solution when a permanent wall is not feasible. 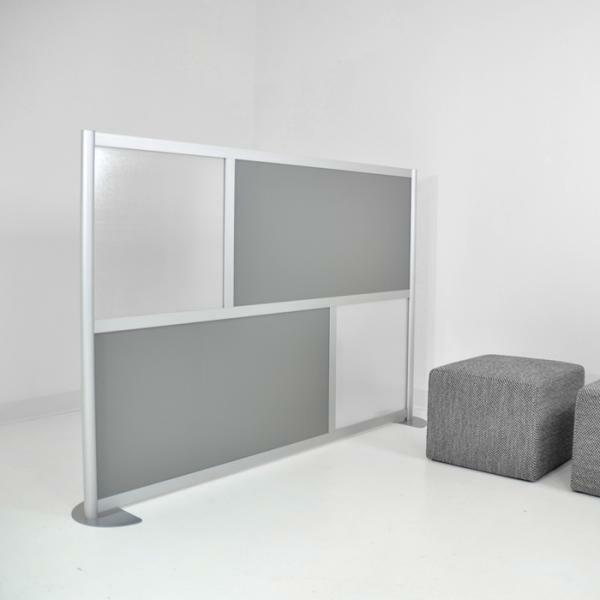 Place this unique divider in the office, loft space, living space, bedroom, retail environments, etc. 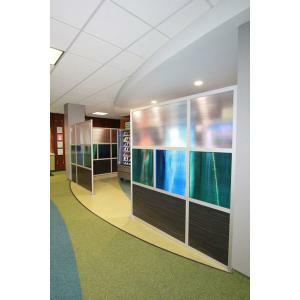 Combine with other sizes to create the room divider solution you need. 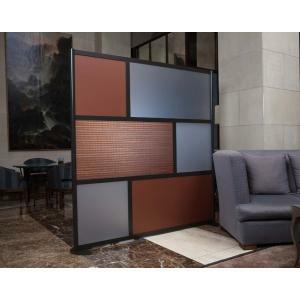 Combine with add ons, corner connectors, and other sizes to create the room divider solution you need. 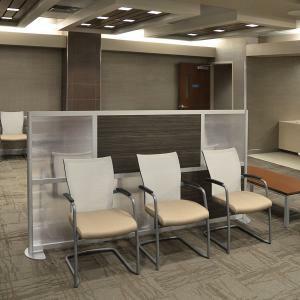 There are also various bases, castors, shelf configurations, and wall connecting add ons available. See the whole collection to explore the possibilities! 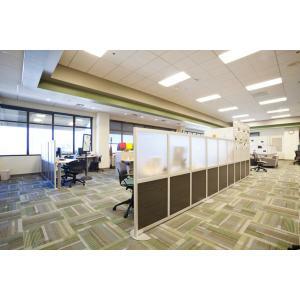 LOFTwall has a green statement and commitment to eco-friendly materials. 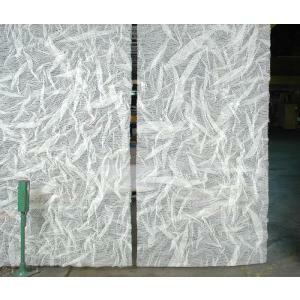 They are made in the USA and adhere to strict manufacturing processes. 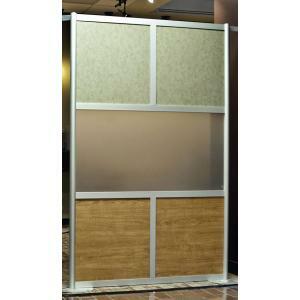 The standard frame color is Natural Anodized Aluminum - which is a matt silver finish. Custom frame color options are available and must be quoted seperately. 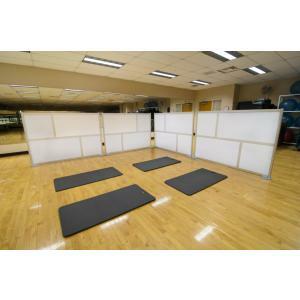 LOFTwall panels ship flat packed and come with easy assembly instructions. There are easy to read guides and it really is a breeze.